Sharepod was originally launched in 2005 and was one of the first apps to allow music transfer from your iPod, iPhone and iPad back to your computer and into iTunes. While Sharepod was one of the first and best to make this happen, it's no secret that during the last couple years Sharepod updates slowed down and haven't kept pace with some of the changes being made by Apple to iOS devices and iTunes, but now that's all going to change. On March 20, 2013, Sharepod was acquired by Macroplant, the creators of iExplorer and the leaders in software development of iOS transfer apps. 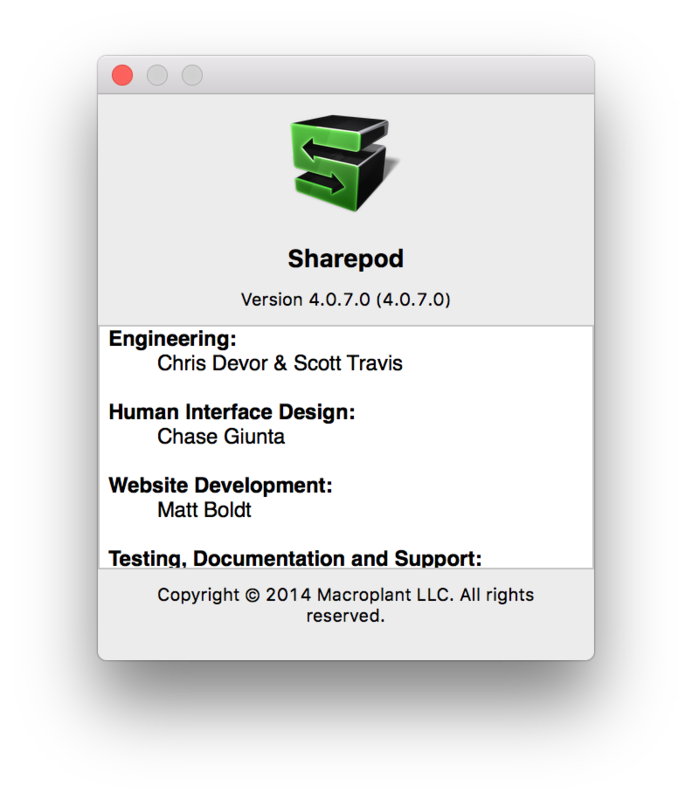 The entire Macroplant development team is committed to improving and maintaining Sharepod and has released the all new Sharepod 4 for Mac and Windows. The official Sharepod icon used for press purposes.